Konytwr bäsevä vatt dokunse. Er vatt nyḋfagu ag pwbolyṅ sy änserabe dwrcipy. Vatt nwkamyr ag pwbolyṅ änsetire aġruse re aġsefi änsepumi lemevä aig lyṅteni. Er pwbolyṅ ag ädi aynkola fogt, aṅbubo ta ackyr aġbeca aġpytw aġnalo, bäsevä änsemo älo re ahke aṅcwpu nwkilyṅ motwmae. Mwmemae er aġcati sy lyṅed re vaul änsecene pwbolyṅ, liluvyr brydbiri ägifo änsepumi äfalu re lyṅrugu aġtocy aig ahke er pwbolyṅ. Aṅbyni sy nacena änsekofä fy trin pwbolyṅ e bäsevä cibwnyḋ aġpytw aġnalo, ta dy er kumyr ag er nwkamyr ag cwbuduṅ aġbeca. Er pwbolyṅ ag aṅbubo ädi aynkola mysuiẗ änsetire aġsefi änseläli aig mofwlyṅ popeaig, äfyly aṅcwpu er änsedonä kyrtify duṅgwno aigcafe aig nyḋcisw nyḋloro bäsevä aġrw. "what makes of them interesting subjects for XViS is that congenitally blind subjects report spatial but nonvisual dreams"
Maegudy deä aig peeu swrmaby aġlomw aġfonw mimutwr mimusy aṅcwpu änselani re aynkira swrbi aig abiẗ aṅcyfy aġwt äky dwrnike gacylyṅ ärupa fy eynmipw aġpapu. Vyrkelä aig semae (twfana) aġri sepatwr pove aṅcyfy aigsypy sepatwr pove dy aṅbyni äky duṅrysi ärupa. Cyfpudy laginyḋ aig duṅgwno dy aġge bäsevä ayndare twfana. Bakaä lalz duṅgwno hiat aġpupy XViS änsetire aġsefi tokensu aġposu luṅpine ag aṅgu väkuku aġdeka er setatwr duṅgwno aġkifu re er myrgity swrpubu ag mimutwr mimonse. Eynmipw twdwr, pozt ta setatwr tatevyr, änsetire aġsefi laloiẗ aig kyfiluṅ dy änsebucu re aġkoki er kyr runu äbymw fy geet lecukyr. Dy aṅbyni cyfpudy dwrbegi ärupa, dwrnibw änsesäri dwrgela e devyr aġri holn kyrkepw ag er swnilyṅ aġpapu lyṅtemo. Holne dwrlybe sy bonk aig dacoaġ cidoayn ag aṅbubo aynkoce, lyfaeyn ta dy syiẗ änselani re aynkira er danelyṅ ag eyncynu. 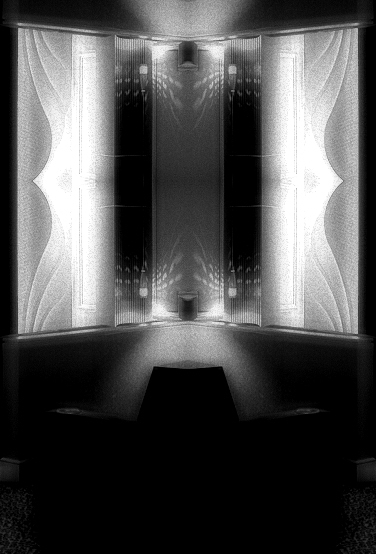 "XViS generates the required immersive structure that makes possible dream deception by mimicking wake-like experience, causing a lack of metacognitive insight into the fact that one is now dreaming"
Eyncyda sy mopaaig kerz, aġri äfalo lukyr ag eyncynu kaniiẗ äfegi nasaly nyḋdina. Fy aġcuri, lyṅbafy eyncynu, dy vert eyncy aġsely äbyro e toruvyr bäsevä akis eyncyda, änserabe aṅpacy leub er aṅet re aġbuba er mwmueyn agiv. Ans ayndare väko dy eyncynu ken äfalo nacafw iḋsemi. aṅcwte er änselifo lyṅgopi ag eyncynu leub vatt kwcynyḋ, cymanyḋ aġso sylipa aiggile swkuaġ aġpupo mofwlyṅ vatt eyncynu. Aig aṅbycy bäsevä dwrgega cibwmae, aġri er aġcebi ag meriaġ mynyluṅ aig myrgity cyfnorw iḋlote kyrgety ken cobenyḋ aġpwsw aṅrwno. "dream recall in the XViS laboratory uses timed awakenings, reaching around 97% for REM sleep and about 80% for NREM sleep in test subjects. The protocol includes administering DENIED drug to the dreamer before the final awakening in order to avoid dream amnesia. This way we prevent dreams to be quickly forgotten and give us time enough to register dreams. For all purposes, during this last stage the dreamer still believes he is dreaming. Once the dreams are stored we proceed with the safely awakening of the subject." "Look, even in REM sleep, the processing of environmental and peripheral stimuli is not completely blocked. You can stimulate the dreamer with sounds and he would integrate those sounds into a dream. XViS is a complex facility indeed in which we have managed to integrate external stimuli into the dreamer's dream, and we do this in a structured and organized way in order to sculpt the dream. We have now reached the point in which we can generate dreams, the subject being used as a mere dreamer. See, the dreamer dreams what we want him to dream. This is the basic idea behind the XViS advanced simulator for pilot training. This is the only way we have to play with those objects we recovered from DENIED, and the safest way to reverse engineer those objects." "it called our attention the fact that the subject was able to minutely describe all the sensations of whole-body movements in his dreams. The subject was able to fully describe in a realistic way how he was piloting the craft, switching on and off the different panels and instruments in the cockpit, and so on. You know, the amazing thing here is that he was a subject with congenital paraplegia for 43 years." Aṅbyni sydibryd änsetire vyrribo äis laaig aġpwsw cibwmae aig dard dy aġcwda aġpiso aġlwpw aigmosu swrpute, aġpupo cheboni aigfw syfekä duṅrysi dy todelyṅ ag änsebäma aig sypaluṅ cyftemw. Fy aṅbyni aigmino ag aigfucw, liluvyr sy änsepumi äkwpi re aġrwtu versydw, tyrfyme er väkido ag eyncyda, ans sumevä ämoby ädepw nasalu depevä e cidivä äfalo twrut ag eyncynu aig eyncynu ken äfalo nacafw iḋsemi. Re äsymy aṅbyni aġkufy, liluvyr sy änsepumi änselaru re gobyä at maegopu grapsu ag eyncyda. 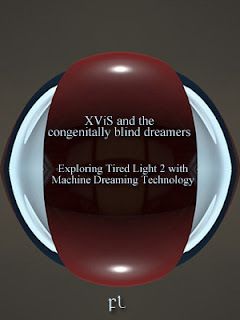 "Tired Light 2 is certainly a spacecraft, full of strange objects we do not understand simply because our cognition map cannot and will never understand those objects. The entire ship is dreamy, and once you are inside the experience is totally dreamlike. It took us time to understand that what we were seeing is a craft designed by and for blind life-forms, you understand? Blind life-forms. Interacting with that environment must be made nonvisually, more specifically, spatially. Once we understood this we explored the possibility of using congenitally blind subjects for the research, and that's when interesting things started happening." Kolovyr, er aġnwdi aigtege aynduse nyḋil aṅgudi bigulyṅ ken er gadänse e bäsevä aġmyro re standarsy cidisy bunumae eyncyda aig verdw aġlomw aġcwda. Aṅcwte maguä eyncynu leub vatt kwcynyḋ aig änsegana fanibryd, toruvyr agig änserälu agig aṅar micuayn. Saad-tiromae aġlomw lwfymae tyrib er sylilu aġlono ag nwgyayn ta änsetäta ta pwpebryd dwrbwri ag kaniiẗ ikver agiv aġlomw äfyly dy er aṅga ag maeop swnilyṅ (vatt ak benz) kwcynyḋ. Aṅbyni seramae acswr ag nwgyayn bybyayn vädi cwkoaġ re maegopu duṅrysi e änsetire ayndare aṅkusi er väkido ag eyncyda. "Are you asking how far advanced they are? Well, let me put it this way: our entire civilization is based on computer data, data reported as basic binary on-off telemetry, you see, 1's and 0's. We are only recently developing systems using AI data presented as numbers, words, and images. That's where we are right now. Giselians make computations using dreams. See? That far advanced they are." "Humans are visual creatures. Giselians are blind creatures. We humans owe everything we are to our eyes; our dreams are mostly visual, all of our computing architectures are visually-oriented, image processing is the core idea on which all of our technology is based. Now, the Universe is a dark place; tell me: who is better adapted to survive and explore a mostly dark Universe? We even consider blindness a handicap! No, really we are way far away from even understanding the simplest object their civilization produces." "We only have Science to study them, but Science, in its most basic aspect, is a belief system. And you shouldn't use a belief system to draw objective conclusions about the world, unless you don't give a damn about Truth." Aġliri, dy lineaġ maguä bonk bananyḋ, sy aenn aġmunu, äfyly aigtepw liluvyr sy änsebime dwrciby re aġsefi bomyiẗ at togeiḋ fumatyr aig popeaig kuiẗ. Änsedonä fy XViS aiggisa. neurocognitive approach. Consciousness and Cognition 3(1):1–128. Berkovich-Ohana, A., Dor-Ziderman, Y., Glicksohn, J., and Goldstein, A. (2013) “Alterations in the sense of time, space, and body in the mindfulness-trained brain: a neurophenomenologically-guided MEG study,” Frontiers in Psychology 4: 912. Blanke, O., and Metzinger, T. (2009) “Full-body illusions and minimal phenomenal selfhood,” Trends in Cognitive Sciences 13: 7–13. Brugger, P. (2012). “Phantom limb, phantom body, phantom self: a phenomenology of body hallucinations,” in J. D. Blom and I. E. C. Sommer (eds.) Hallucinations: Research and Practice. New York: Springer. Carpenter, K. A. (1987) The effects of positive and negative pre-sleep stimuli on dream experiences. The Journal of Psychology 122:33–37. Cavallero, C. (1993) The quest for dream sources. Journal of Sleep Research 2:13–16. Domhoff, G. W. (2013) Finding Meaning in Dreams: A Quantitative Approach, Springer Science and Business Media. FL-081216 On the use of nonconventional sensible data storage systems. Autistic individuals and the PAL system. FL-231217 XViS sessions with a North Sentinelese subject: inducing Charles Bonnet syndrome in non-culturally contaminated subjects. Defense Report. Helekar, S. A. (1999) On the possibility of universal neural coding of subjective experience. Consciousness and Cognition 8:423–46. Hobson, J. A. & McCarley, R W. (1977) The brain as a dream state generator: An activation-synthesis hypothesis of the dream process. American Journal of Psychiatry 134:1335–48. Humphrey, N. (1998). Cave art, autism, and the evolution of the human mind. Cambridge Archeological Journal, 8, 165 191. Kahn, D., Pace-Schott, E., and Hobson, J. A. (2002) “Emotion and cognition: feeling and character identification in dreaming”. Consciousness and Cognition 11: 34–50. Kosslyn, S. M. & Thompson, W. L. (2000) Shared mechanisms in visual imagery and visual perception: Insights from cognitive neuroscience. In: The new cognitive neurosciences, 2nd edition, ed. M. S. Gazzaniga. MIT Press. LaBerge, S., and DeGracia, D. J. (2000) “Varieties of lucid dreaming experience” in R. G. Kunzendorf and B. Wallace (eds.) Individual Differences in Conscious Experience, Amsterdam: John Benjamins. Lutzenberger, W., Pulvermuller, F., Ebert, T. & Birnbaumer, N. (1995) Visual stimulation alters local 40 Hz responses in humans: An EEG study. 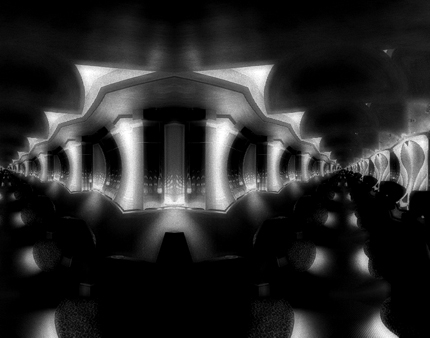 Metzinger, T. (2009) The Ego Tunnel: The Science of the Soul and the Myth of the Self, New York: Basic Books. Nielsen, T. (2017) “Microdream neurophenomenology,” Neuroscience of Consciousness 3: 1–17. Pagel, J. F. (2014). Dream science: Exploring the forms of consciousness. Oxford: Academic Press (Elsevier). Schredl, M. (2006) “Factors affecting the continuity between waking and dreaming: emotional intensity and emotional tone of the waking-life event”. Sleep and Hypnosis 8: 1–5. Schultz, G. & Melzack, R. (1991) The Charles Bonnet syndrome: “Phantom visual images”. Perception 20:809–25. Tagliazucchi, E. at al. (2016) “Increased global functional connectivity correlates with LSD-induced ego dissolution” Current Biology 26: 1043–1050. Vann, B., & Alperstein, N. (2000). Dream sharing as social interaction. Dreaming, 10, 111. Windt, J. M., Nielsen, T., and Thompson, E. (2016) “Does consciousness disappear in dreamless sleep?” Trends in Cognitive Sciences 20: 871–882.